First Impression: Burn more calories in less time? Who wouldn’t want that? 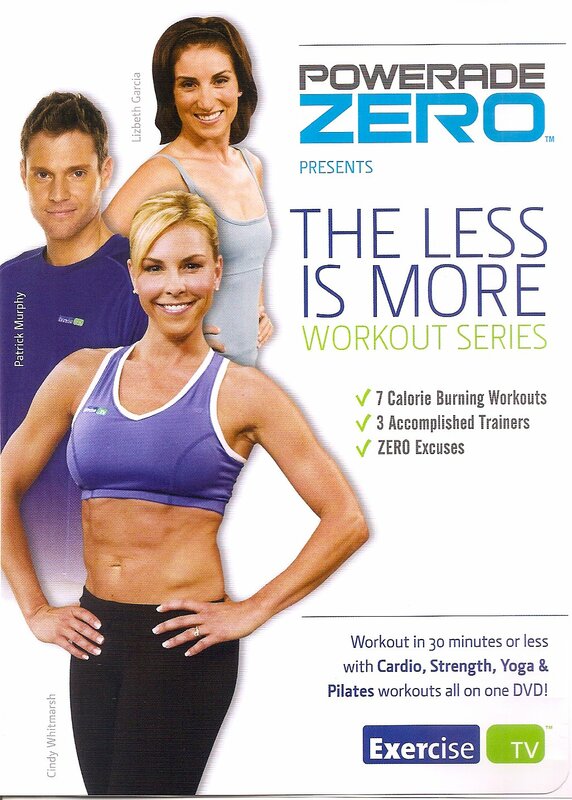 Second Impression: Seven calorie burning workouts? Awesome! Well, it should have been obvious to me before I even started up the DVD, but this is basically a commercial for Powerade Zero with some exercises wrapped around it. In both of the routines I tried, there is a moment or two when the camera pans down the instructor’s toned, fit body, finding the bottle of Powerade Zero at her feet. The camera lingers there, caressing the Powerade Zero in all of its nuclear-colored, chemical glory. Then, at the transition where every other fitness instructor, whether in person or on a DVD, would say, “Now’s a good time to grab some WATER if you need it,” these corporate shills declare, “Be sure to get a drink of Powerade Zero to stay hydrated.” Then they take a big gulp of the aforementioned beverage in a flattering close-up, and I’m sure the camera cuts away before it reveals that they are sighing with relief about being able to pay their mortgage. Now I understand that there are times when you sweat so much that you lose electrolytes and need to replace them right away. It’s happened to me, but only when performing outside in 105-degree heat while wearing a velvet dress, never while doing a 30-minute cardio routine in my own house. When you need to replace electrolytes, do you know what really helps? Eating pickles. The salts in the brine keep you from getting dehydrated. I’ve heard that drinking pickle juice is an instant cure for leg cramps, and that must be why. Also try eating a banana every day. They have a lot of potassium. Some people swear by coconut water. You don’t need a giant jug of corporate chemical food coloring. Unless you have convinced yourself that you enjoy the taste, in which case, here’s lookin’ at you, kid!